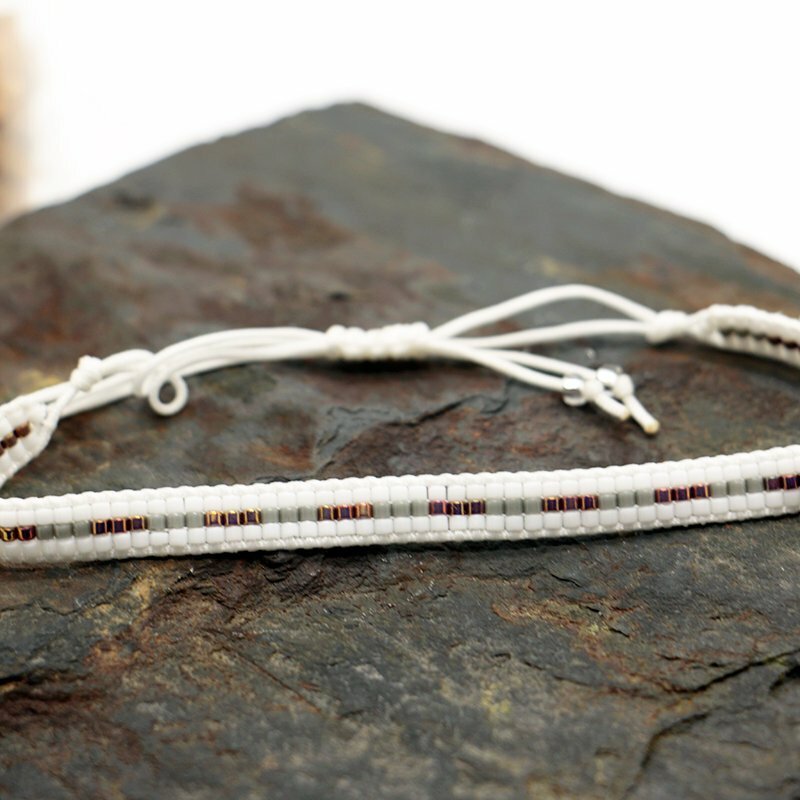 Handwoven delicate Miyuki beaded bracelet. 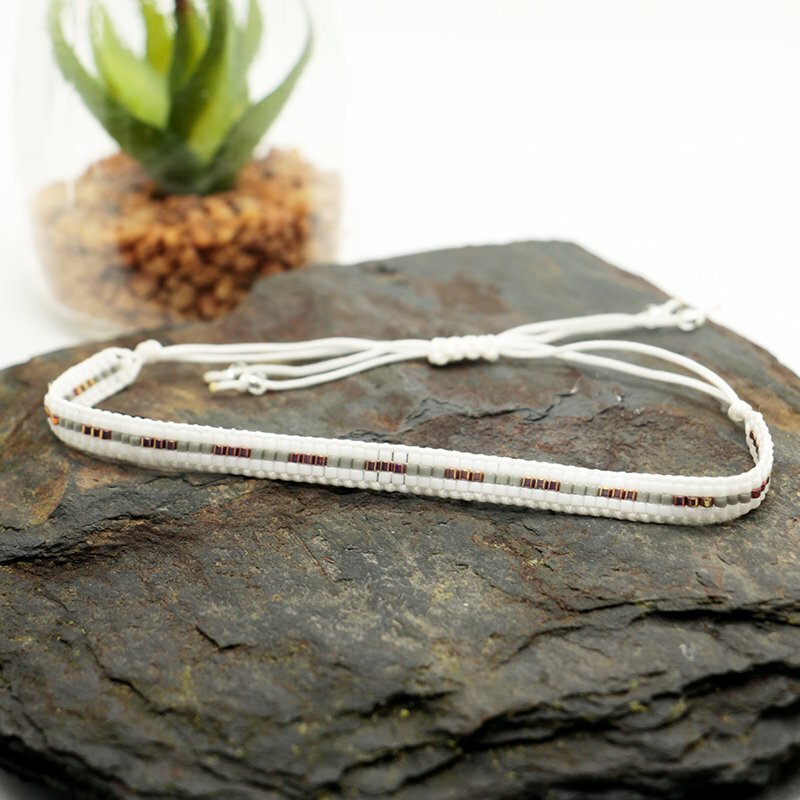 This adjustable bracelet is made from white, grey and rose gold rainbow Miyuki Delica beads woven on a loom and bordered in sturdy Korean silk, finished with a macramé knot. 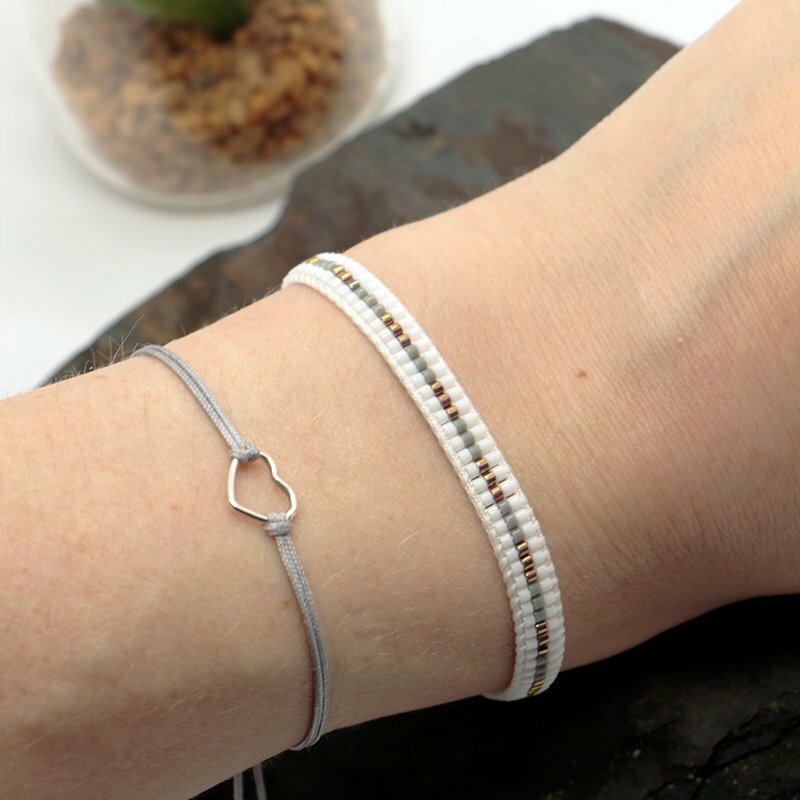 The standard bracelet will extend between 6 – 9 inches but can be made large or smaller as required, just leave a message in the "notes to seller" box on the checkout page. 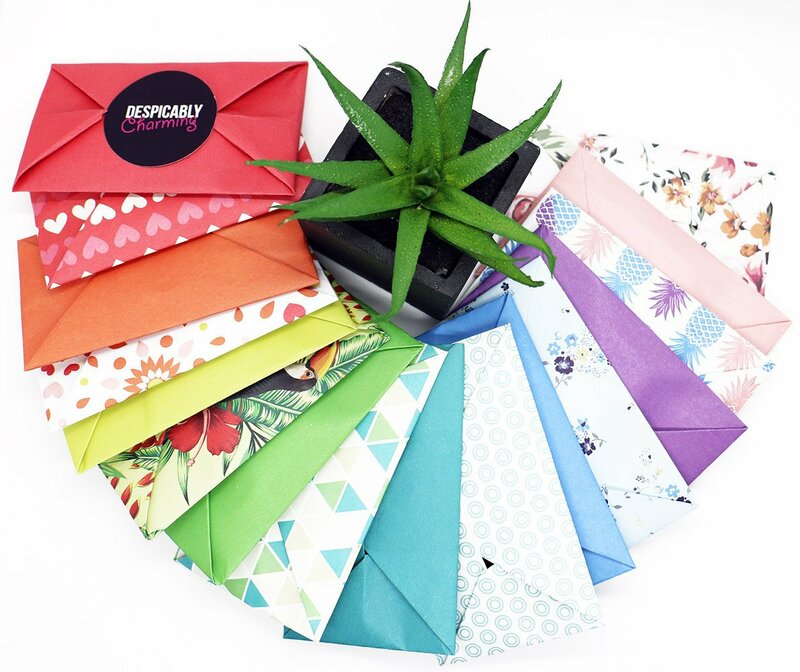 Each bracelet comes individually wrapped in an origami envelope and can be sent with a gift message free of charge. 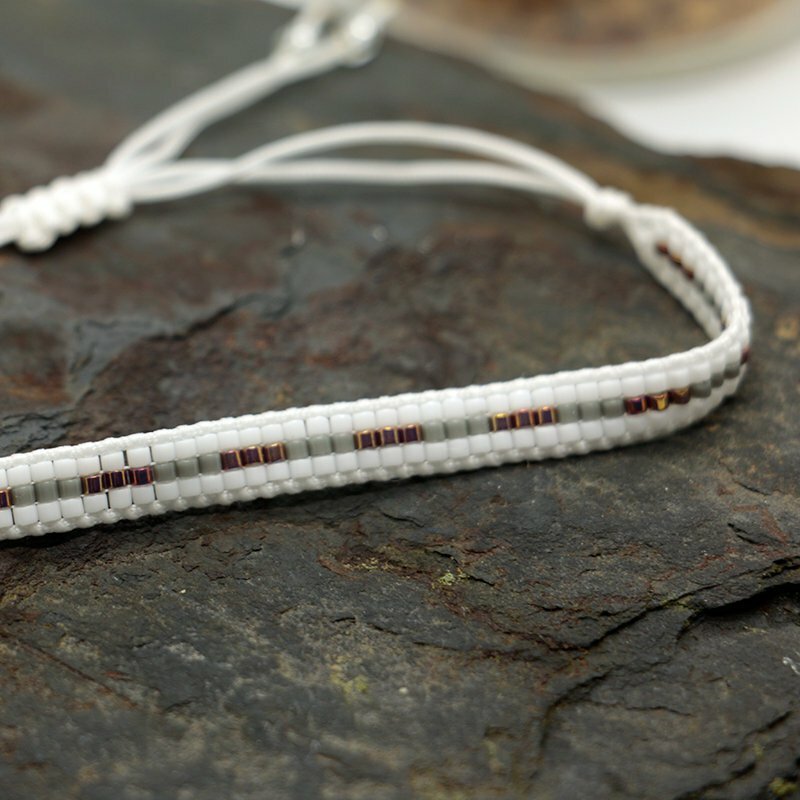 All items will be shipped using a tracked and insured service for extra security.